Cliff Mass Weather and Climate Blog: Was the JetBlue Turbulence Incident Avoidable? Was the JetBlue Turbulence Incident Avoidable? On Thursday night, JetBlue flight 429 hit severe turbulence over South Dakota, sending 24 passengers and crew to the hospital. 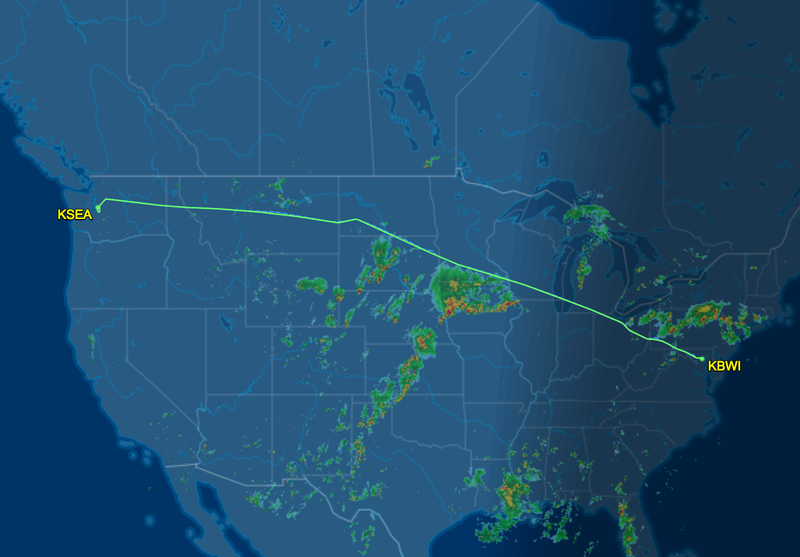 This turbulence, associated with a line of thunderstorms, resulted in the abrupt termination of the Boston to Sacramento flight, with an emergency landing in Rapid City, South Dakota. This blog will analyze the meteorology of this event and examine whether it was possible to foresee and avoid this terrifying incident. (Answer: it was). Strangely enough, I was only a few miles from the incident, traveling on an Alaska Airlines flight between Baltimore and Seattle. The actual flight path of JetBlue 429 is shown below with information from the FlightAware website. Weather radar information, but from a later time, is also shown. A key problem for the JetBlue captain was to avoid the turbulence associated with convection (thunderstorm) over much of his/her route. To analyze the situation we need to know the exact time and location of the incident. FlightAware provides minute by minute information and I have selected (below) the period of interest before the aircraft was diverted (at 0716 PM Mountain Time or 0116 UTC UTC). Looking the previous few minutes, you will notice they were flying at 33,400 ft and then dropped suddenly by 100 feet at 0714 PM. I suspect that is the time of the incident. Then they returned to their previous altitude. The location at that time is provided and I plotted it on the map below. The position is in south/central South Dakota. Now we are ready to investigate the meteorology of the incident. Let's start by looking at the radar imagery, based on the National Weather Service radars in the region (image from the NCAR RAP website). Here is the radar reflectivity at 0115 UTC, with an oval showing the aircraft location. Red indicates high reflectivity, which is associated with heavy rainfall, strong vertical velocity, and lots of turbulence. You want to avoid reds if you are in an aircraft. Clearly, you can see the problem: the plane flew into a very active portion of the thunderstorm complex. Notice the arching shape of the red colors: this is indicative of a very vigorous system. In short, the aircraft entered a line of very strong convection, a region that all aircraft should avoid. Strong midwest thunderstorms frequently grow to 40,000 to 50,000 feet and turbulence can exist above them due to upward propagating waves. Here is a blow up so you can see the situation more clearly. So how did this line of thunderstorms develop in the previous hour? Did the pilot have time to avoid them? To answer this question, let's look at a series of radar images prior to the incident and I will indicate the location of the plane on the imagery. At 0100 UTC, 13 minutes before the emergency, the aircraft was well upstream of the convective line, with plenty of time to move around it (see below). Ten minutes before that (0050 UTC), the convective line was apparent, with over 20 minutes to find a path around it. During the prior hour, the convective line was strengthening and moving to the NE, something that is evident by looking at a series of radar images (found here). Normally, pilots fly around major convective lines like this. There was plenty of time to get around it, and an excellent flight path to the south of the line existed. So why did the pilot fail to avoid this dangerous feature? One possibility was that the pilot did not have access to the real-time radar imagery shown above. Pilots can view their aircraft weather radar, but as described later, such radars have limitations. The radar I showed you above is available in a number of forms on the internet and a wide variety of web sites. As a passenger, you can view the radar imagery in real-time at your seat using a laptop/pad and onboard internet services (like Gogo). In fact, that evening I was following the weather on my Alaska Airlines plane, a few hundred miles away (although Gogo was really poor on my aircraft). Unfortunately, many airlines do not provide such real-time radar data (from the National Weather Service radar) to their pilots, and I assume this is true of JetBlue. No pilot would knowingly fly into such a severe line of convection. What about weather radars on aircraft? They are helpful, but provide only a localized view of the precipitation situation and possess relatively small antennas that do not give high-resolution information. 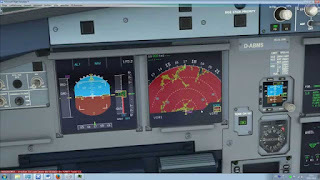 This is certainly true of the radar on the Airbus 320 (shown below), which was the aircraft involved in this flight (see below). I assume that the aircraft radar did show the strong line ahead of the aircraft during the final few minutes before the incident, yet the pilot decided to punch through. A mistake. As noted earlier, I was on Alaska 761 that left at nearly the same time from Baltimore and followed a route roughly 200 miles to the north of JetBlue 429 over South Dakota (see below). Our pilot skirted north of that convective feature, with light to occasionally moderate turbulence (seat belt sign was on for most of it). For some reason, JetBlue 429 headed directly into a strong convective line. It should not have done so. Radar imagery clearly showed the threat and there was plenty of time to avoid it. Pilots should have access to the same detailed radar imagery that folks in coach with laptops (like myself) can readily access. They should also receive the training necessary to understand the impacts of various types of convection. My own conversations with pilots suggest that many do not have sufficient meteorological knowledge and this should be addressed. With proper use of weather radar and good pilot training, incidents like the JetBlue 429 one should be avoidable. 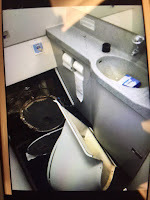 Destroyed toilet in JetBlue 429. The writer describes a very similar situation where a commercial jet (another A320!) plows right into developing convection that nearly took down the plane. There is no excuse for the current lack of state-of-technology real-time weather information in the cockpit. The public should demand it, as should pilots that are putting their lives on the line everyday. At the UW, we have developed a wonderful FREE weather app for Android smartphones that also collects pressure for use in weather forecasting. If you want to try it, please go to the Google PlayStore and download it. I will be talking in Port Angeles about the Future of the Pacific Northwest Under Global Warming at 6:30 PM on August 17th. More information here. One additional possibility: I've read lately that pilots are getting more pressure from their airlines to carry less "extra" fuel (costs fuel to carry fuel), as yet-another cost-shaving method. Some have reported that, instead of being able to circle the area to wait out landing delays, they've sometimes been forced to land elsewhere. Plus, pilots are definitely under increasing pressure to make on-time landings. We'll never know, but there's a chance the pilot might have done the mental math and decided to punch through rather than spend his fuel surplus going around the system (and then burning even more fuel to make up the time lost). It could be the crew thought they were going to make it through a gap between the cells, see "sucker hole". I don't need to mention here that 88D returns are just a slice in the sky, and not reflective (no pun intended) of cloud tops. Fortunately, there are products like CIWS that do a lot better job with tops, but I don't think it's a slam-dunk assumption that top-down 88D data to the flight deck would've prevented this. I'm sure a lot of pilots would disagree with this, and I'm not talking about all pilots (or the pilots of this particular flight), but there sometimes tends to be a 'follow-the-leader' mentality. One key piece of information would be whether there was a flight that had gone through that area in front of them. It's entirely possible that there was a gap at altitude, someone went through it, and the jetBlue crew thought they could do the same. There also sometimes tends to be a tendency to relate past experiences with the present. It's possible that one or both of the pilots had been in a very similar situation in the past with no adverse effect. I'm not suggesting we should let anyone off the hook or whatever. I just think it's more complicated than "See! The 88D said it was horrible! Misinformed pilot! ", and we don't have nearly close to all of the information. In theory, there is a technical solution beyond learning to interpret 88D output. Areas of strong up and down drafts could be identified using radar data, then a ground-based computer essentially 'blocks off' chunks of airspace where it's occurring, and the flight crew is notified by an uplink to their weather display (or HUDs), with big red Xs indicating they shouldn't proceed into a particular area (with a buffer set around it just in case). You could use the same system to help flights avoid going under anvils, especially at night. One may ask "Well, isn't it just cheaper and easier right now to give them the data and teach them to interpret it?" To an extent, that's true. However, if you take a look at an aircraft situation display on a typically stormy day, you'll see planes going in and out of areas that look shockingly bad on radar. Turns out they're going through big gaps or on top of the weather altogether. So it's not quite as simple as "look at this screen and avoid". There is the question of the seatbelt sign. One passenger's account indicated the flight attendants were walking the aisle checking seatbelts. Pretty standard procedure, but done at an interesting time so close to the convection. The same passenger said it had been turbulent before the incident, so I would wonder why the seatbelt check hadn't been done earlier. I think a better PR spot to folks on this blog would be, "Follow the crew's instructions. When the seatbelt sign is on, don't get up to use the lavatory or ask for a drink. Just because it's never 'that bad' 99% of the time doesn't mean you're not on the 1% flight. If you're up and the seatbelt sign isn't on, but you feel like you should hold on to something, have a seat and buckle up. When you're sitting down, put your seatbelt on, even if it's perfectly smooth. You wear a seatbelt in a car going 60 mph, so wear one at 500 mph and 7 miles up in the sky." A testament (albeit one nobody wanted to see) to the remarkable engineering and material science knowledge that goes into modern aircraft. It's unfortunate that the person flying the plane is now the weak link in the chain - although as you say, that can and should be fixed with appropriate training. Poor judgement, unfortunately, isn't as easy to fix - the better option is usually to identify those people and move them into jobs where others' lives don't depend on a skill they lack. With respect, Jim.. I work with pilots every day in situations not unlike this one, and no professional pilot would ever.. ever.. EVER penetrate a thunderstorm intentionally just as a way to save fuel. Remember, the vast majority of pilots are unionized, and that actually has a positive impact on air safety. They normally feel very little pressure to make decisions solely for the financial benefit of their employer. That's a very good thing. Weather radar installed on most modern aircraft gives a better picture of the weather ahead than ground-based radar. It gives a good view of the situation more than 300 miles ahead and an exquisitely detailed picture of weather in the five, ten, 20 or so miles directly in front (and to both sides) of the aircraft. 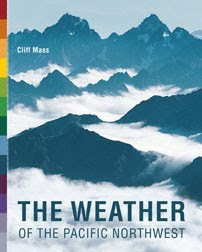 In addition, because the antenna can be selectively tilted up and down a more complete picture of the structure of the weather is immediately available to the crew. Many modern systems also display wind sheer and turbulence. I suggest that Cliff call the folks at Honeywell's Paine Field facility for a demonstration ride in their Convair 580 -- possibly the finest 580 still flying. They provide a great picture of precipitation, unfortunately Convective sytems often have turbulence associated that has little to no reflectivity. I would also hazard to guess that JetBlue's low incedent rate with 300,000 flights a year would be indicative of a practical if not theoretical understanding of the many weather hazards pilots encounter then your personal sampling has indicated to you. Maneuvering near a line of thunderstorms is very common, often a daily task in the summer months. 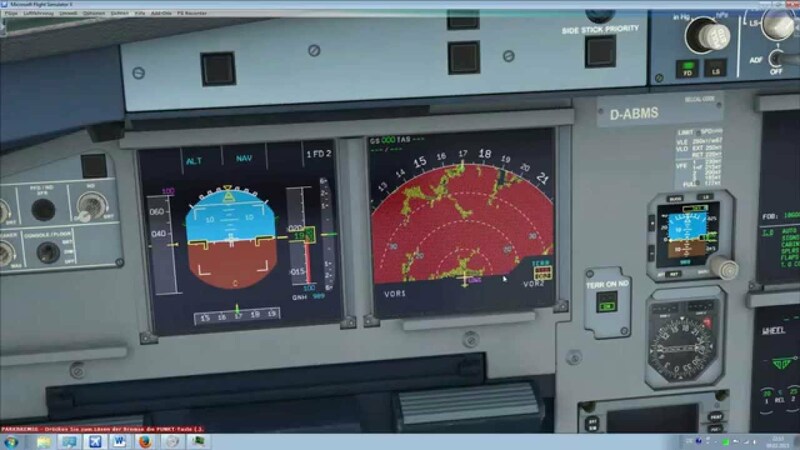 It's a very dynamic and challenging situation at times to use the limited tools available in-flight, I'm sure the pilots thought they were making a prudent and safe choice with the limited information they had access to. Real time connectivity to other weather products would help, currently not available at most airlines(see: your gogo problems). Forecasting at 500mph? It's an interesting intersection between several disciplines, I encourage you to "punch through" to the many resources available in the PNW to gain a greater understanding as to how meteorology interfaces with aviation. Honeywell and the Convair would be a great peek! A great write-up on the lack of in-flight weather data link. While these systems may work most of the time, telling pilots they can fly through "mild" turbulence to save money (see article at link) seems like a terrible idea to me. Foreflight is the app that many General Aviation pilots use on their IPads or other tablets to safely navigate weather systems with real time radar maps. 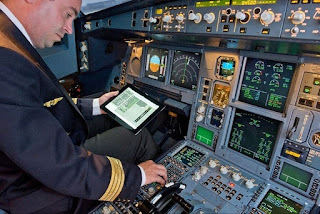 I am surprised that most commercial pilots would not have it on a tablet on their laps as a secondary if not primary reference. 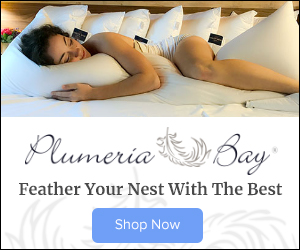 Under $200 per year with lots of additional information that is updated periodically. Also, commercial pilots and general aviation pilots have other resources via their cockpit radios to get updated weather live enroute for the asking including other pilot reports in the area. Recently my husband and friend flew a Lancair IV-P from WA to Oshkosh, WI using Foreflight and successfully skirted convective weather systems in the Midwest. There's another player not mentioned FAA Enroute Air Traffic Control. They also have access to high capability NWS ground based weather radar, and are supposed to be trained in detecting hazardous situations. Like with so many aviation incidents, this will probably turn out to be a multiple failure situation. Qantas is looking at using in-flight wifi to get up to date weather info to pilots. The time and money vs avoiding possibly severe turbulence is clearly an issue. Cliff, the Weather Channel forecast for Thursday is for 91 degrees in Bellingham and 81 in Seattle. That seems very unusual to me. A strong high pressure ridge in BC with outflow winds? Air Traffic Controllers on the ground have equal and at times greater authority over decisions regarding a re-routing of a pre-determined flight path: at no time did this flight (or any within US airspace) have the singular authority to make a change to their flight. Unless deemed an emergency, the pilot has to make a request to change altitude, speed, bearing or some combination thereof. Simply, we do not have enough information to make any assumptions about why this event occurred, but the decisions and outcomes are greater then the planes flight team in non-emergency communications. I must disagree with Pablo96. The pilot has ultimate authority and ultimate responsibility for the safety of a flight. Turbulence is a safety issue, and a pilot can deviate if necessary. Of course, the pilot has to justify that deviation later, but it is the pilot's authority, not ATC. In practice, the pilot would request a deviation. If it is not granted, the pilot can do it on his own. Such a situation would be very bad, but it would be a failure of the ATC controller in all but the most drastic traffic situations. For one, ground based radars cannot see flight level information. The safety record of US Aviation is EXTREMELY good, in that respect- Giving pilots Ground based radar data is another addition to workload for pilots and its not always representative of what is going on real time and may not represent what is in front of the aircraft. The weather radar on commercial planes is actually a very good tool, its real time and has a tilt function that is very effective. These radars will even predict wind shear. Simply put- flying near thunderstorms is a daily occurrence especially in the summer months and 99.99% of the time severe turbulence is not encountered. The pilot was most likely doing something he had done many time before and simply misjudged what was occurring with the convection. I find it a stretch that ground based radar would have had any effect on what the pilot was doing. Not only that but ground based radar data is often 6 or more minutes old, and there are often outages or delay in radar information. Anyone who storm chases or gets excited about snow showers moving through the region can attest to this. If pilots need a heads up with routing around storms they have very well trained people on the ground , that being Aircraft Dispatchers, that do little else than watch the radar for the pilots. Fear not America, flying is by far and away the safest way to travel. Maybe too late for you to see a comment on this one, but the UW really needs to get an iPhone version of that app built. You loose approximately 2/3 of all cell phone users if you don't have it available for the iPhone. Yes, it really is that big of a split when you look at active mobile customers. Delta Air Lines pilots are tapping into the cabin network to link their EFBs through the Gogo connection system to run an application that graphically shows turbulence reports assembled by forecasters using downlinked ride-quality parameters from hundreds of aircraft in the fleet. XM satellite weather gave us the big picture of the convective activity, while the onboard weather radar allowed us to refine our path close-in. Clearly it's best to have both. Some private jets do. How to get aircraft turbulence information?